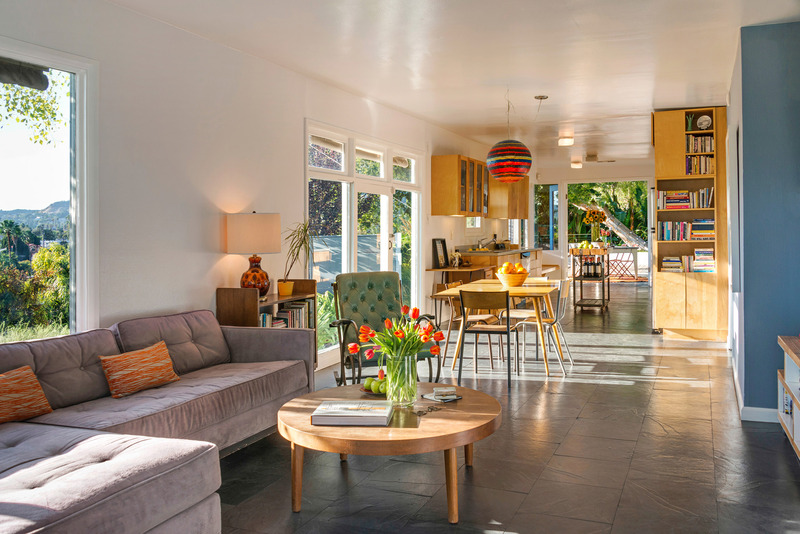 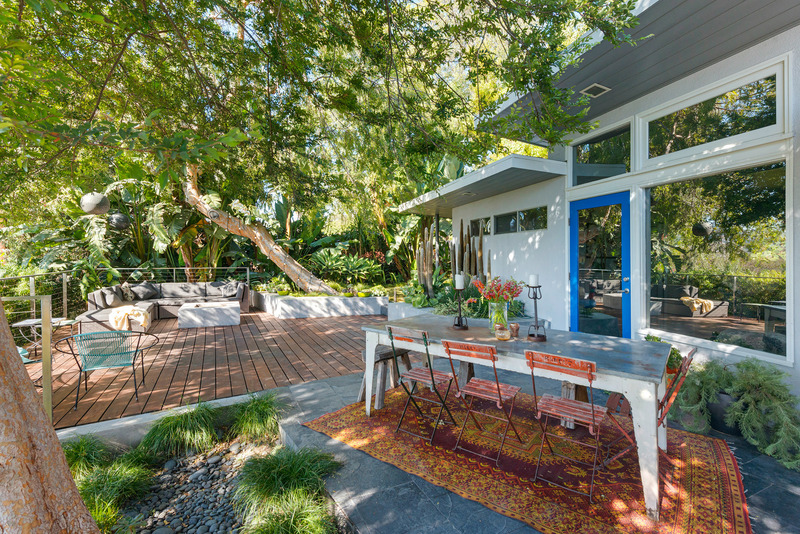 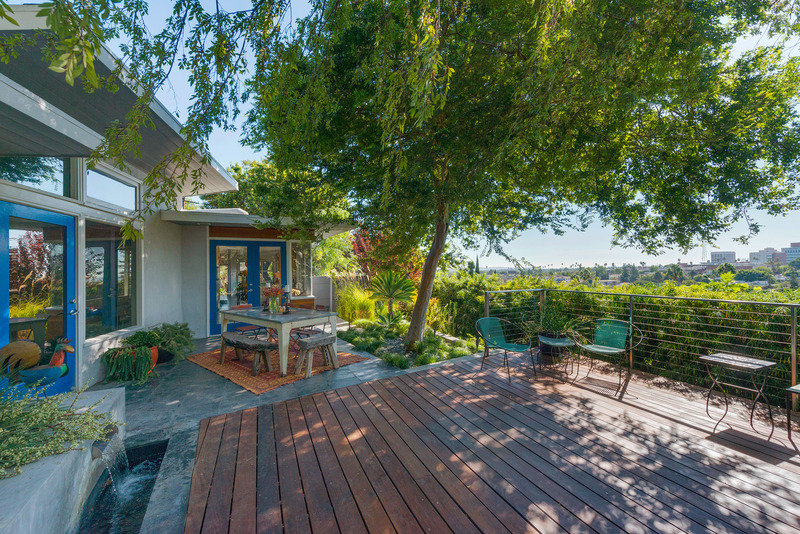 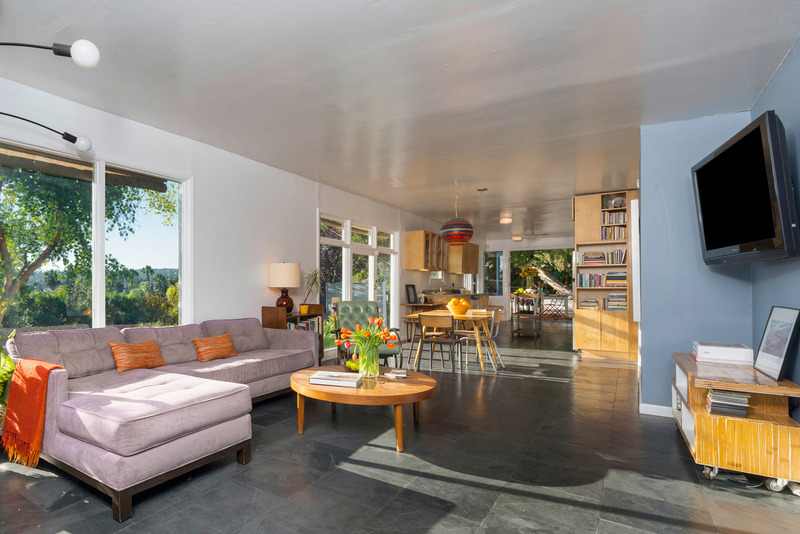 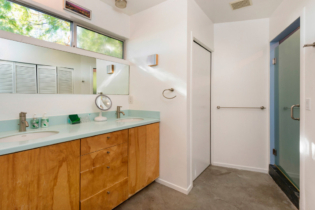 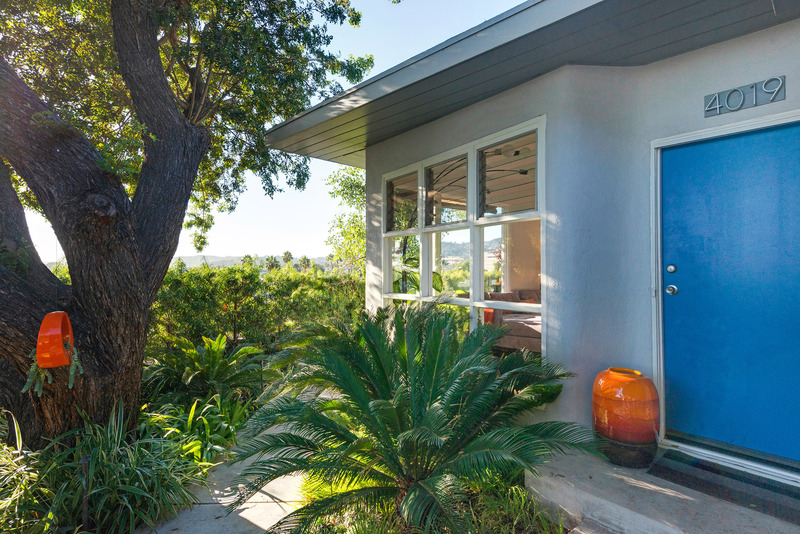 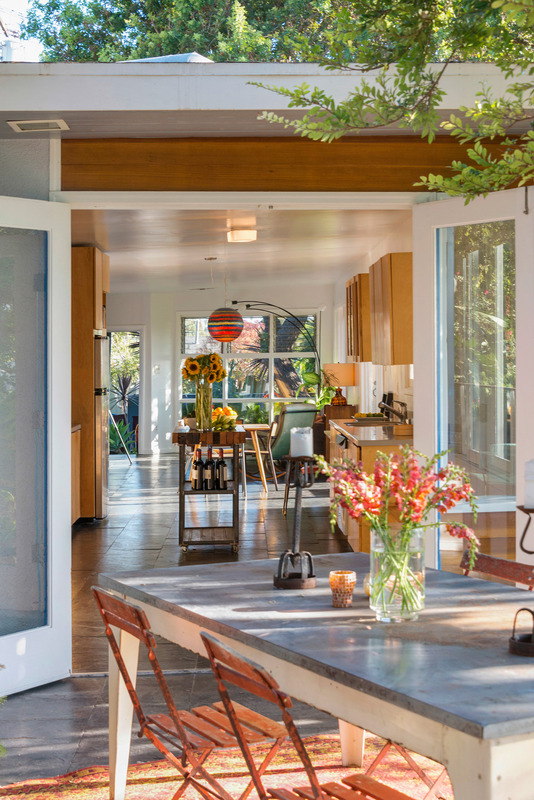 This modest Midcentury Modern home features open-plan-indoor-outdoor living at its best. 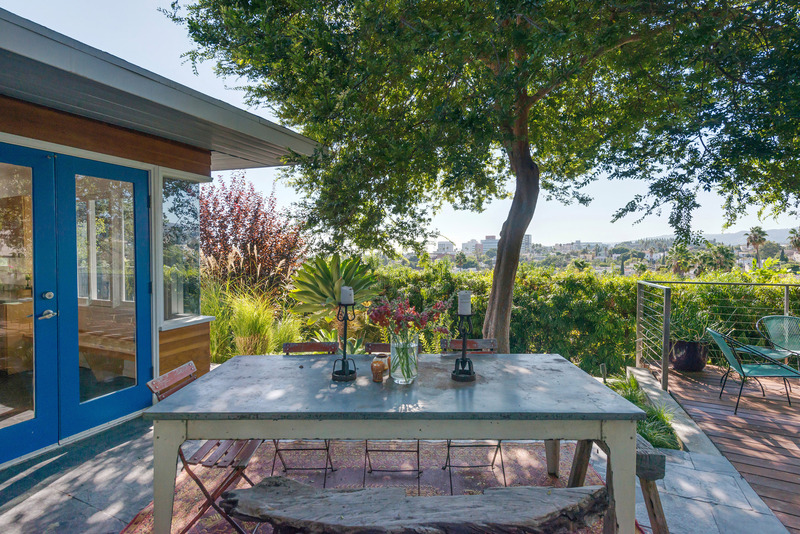 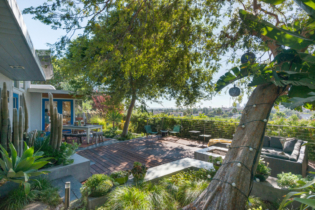 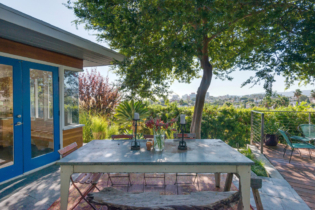 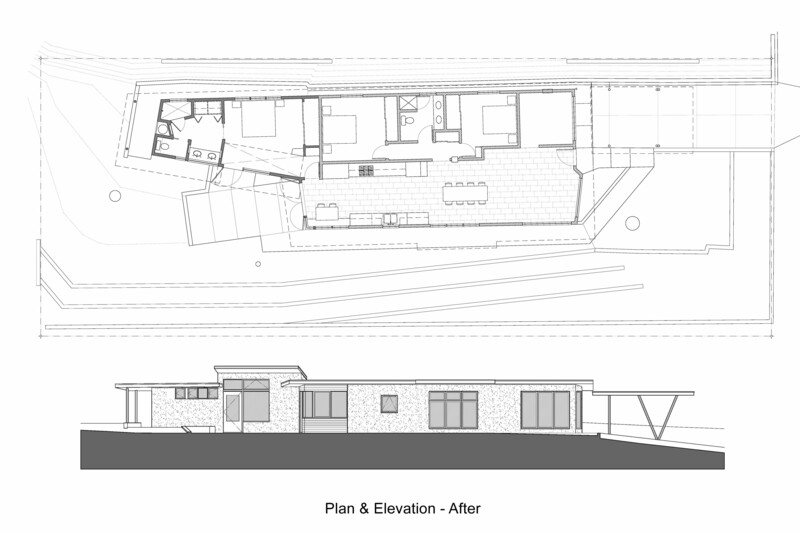 Its location is a hillside lot in the Franklin Hills/Los Feliz neighborhood of Los Angeles, with views towards Hollywood. 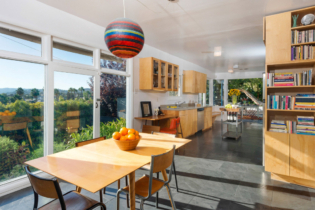 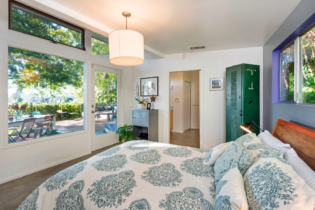 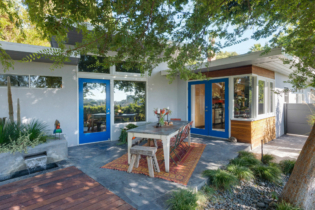 This project called for renovations including a new kitchen and the addition of a 400-square-foot master suite to a compact but charming 1,000 s.f. 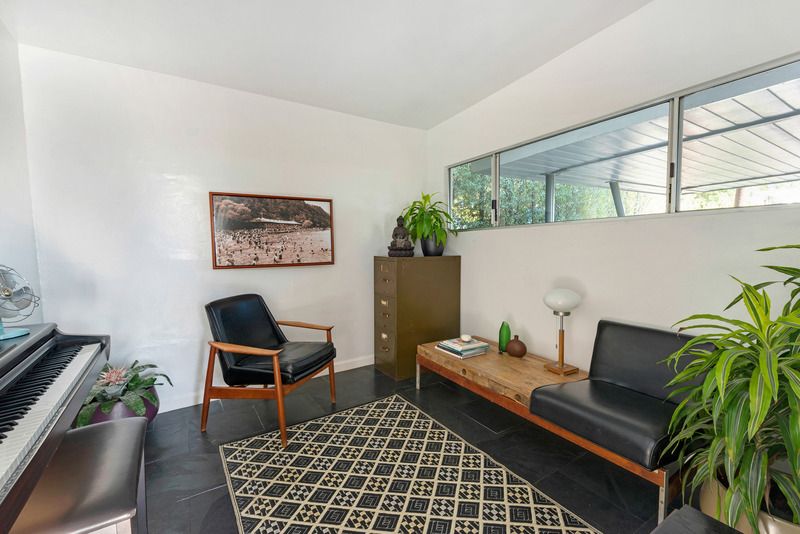 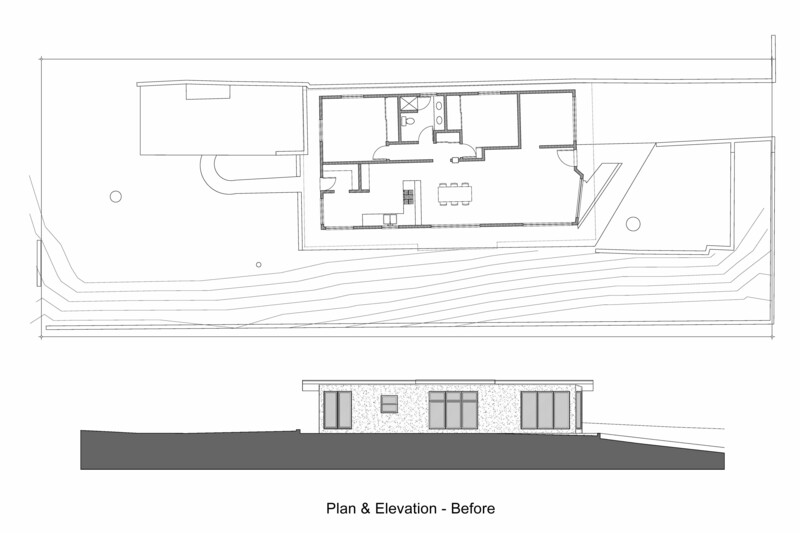 midcentury residence. 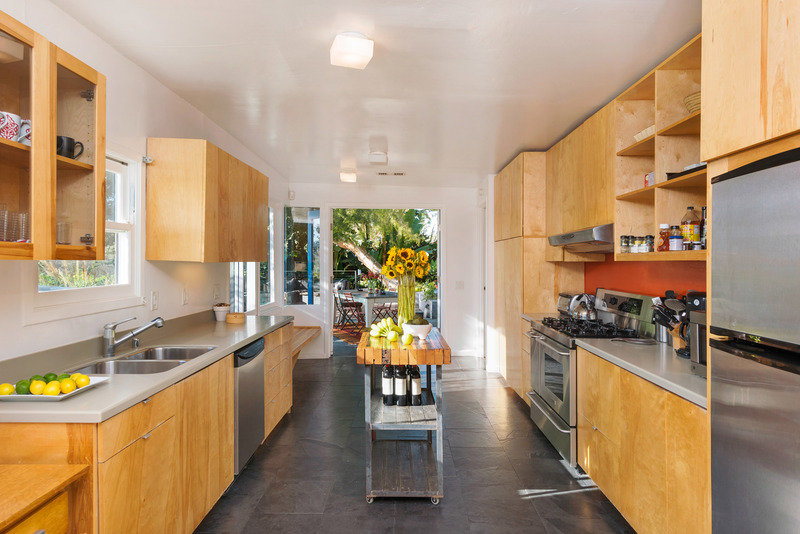 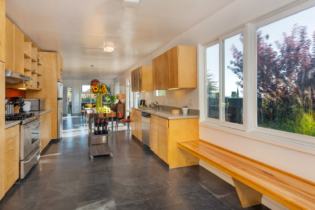 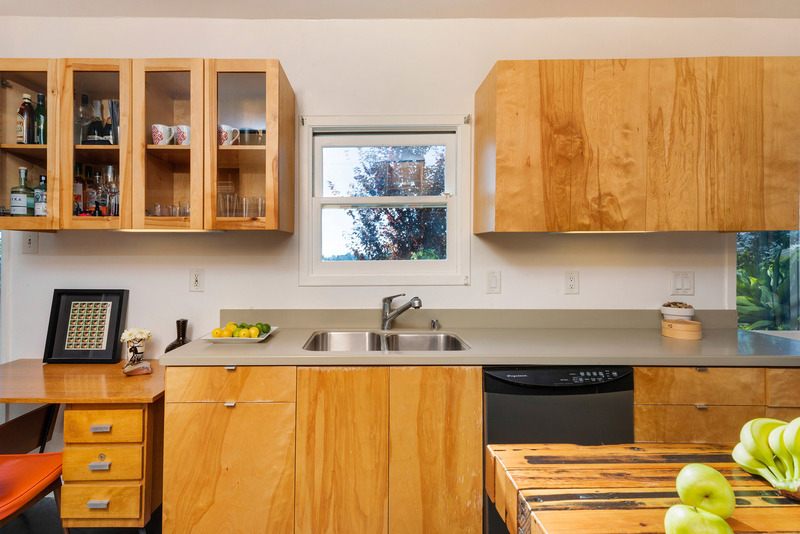 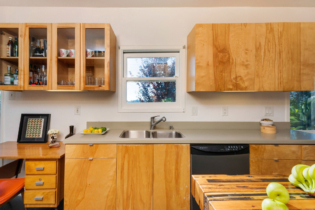 The kitchen was expanded and completely redesigned, with custom cabinets and an eat-in banquette. 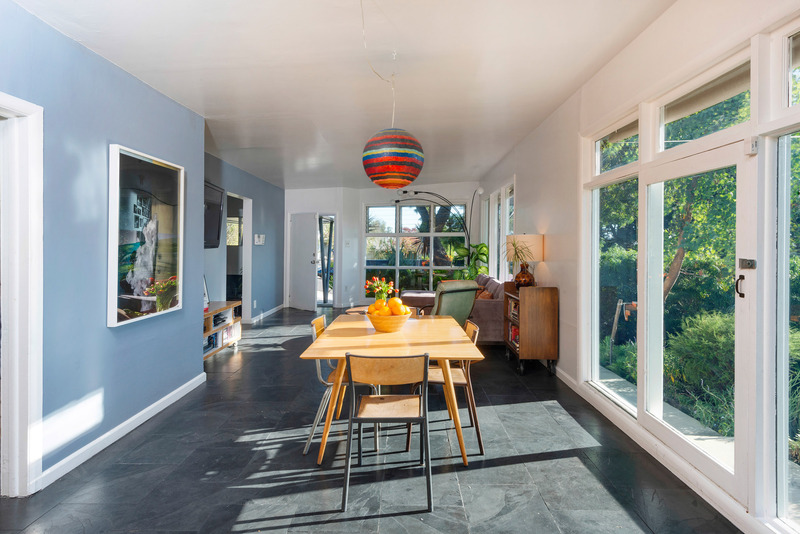 The kitchen, dining, and living spaces were opened up and transformed into a single flowing open space, connected to the new backyard patio. 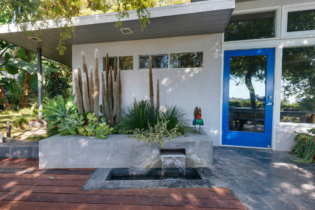 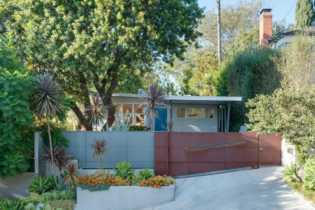 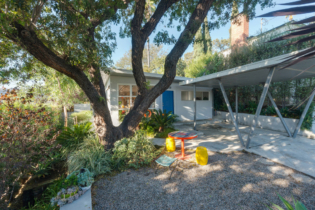 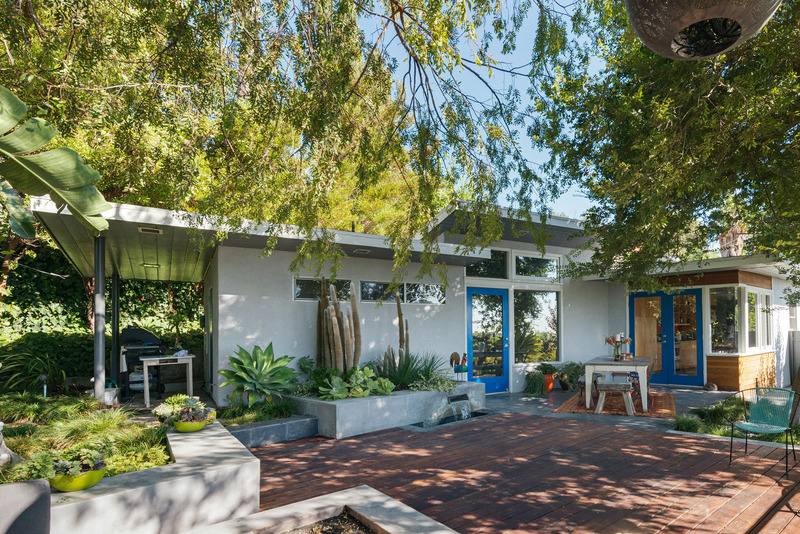 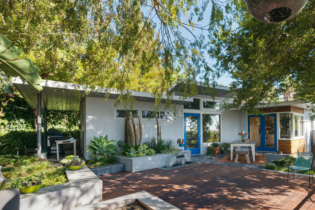 A new carport, featuring classic midcentury V-shaped steel supports, was added to the front of the house, increasing its curb appeal and emphasizing the home’s midcentury character. 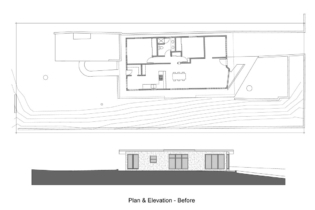 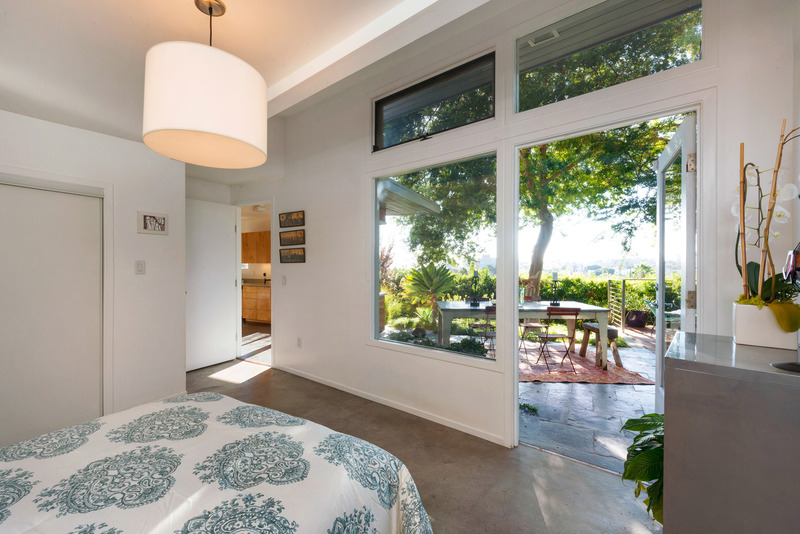 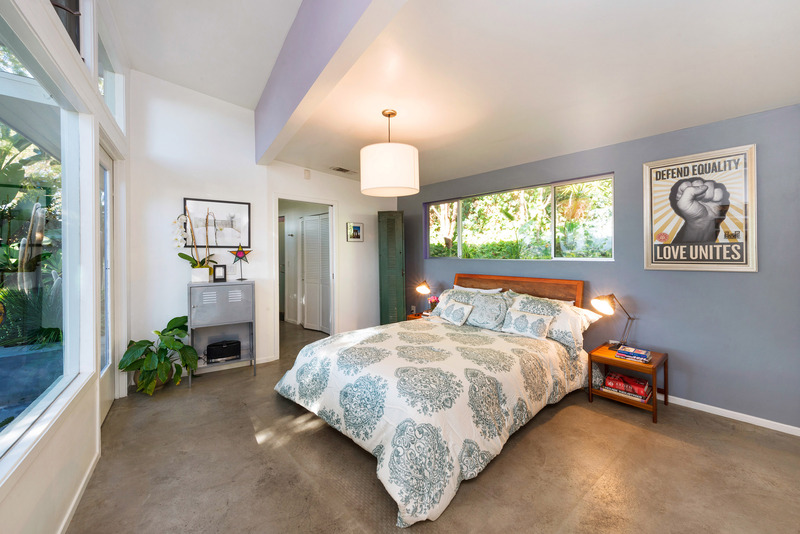 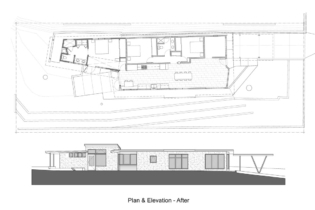 The home features slate flooring, birch kitchen cabinets, stucco and cypress exterior siding, and has polished concrete floors in the master suite. 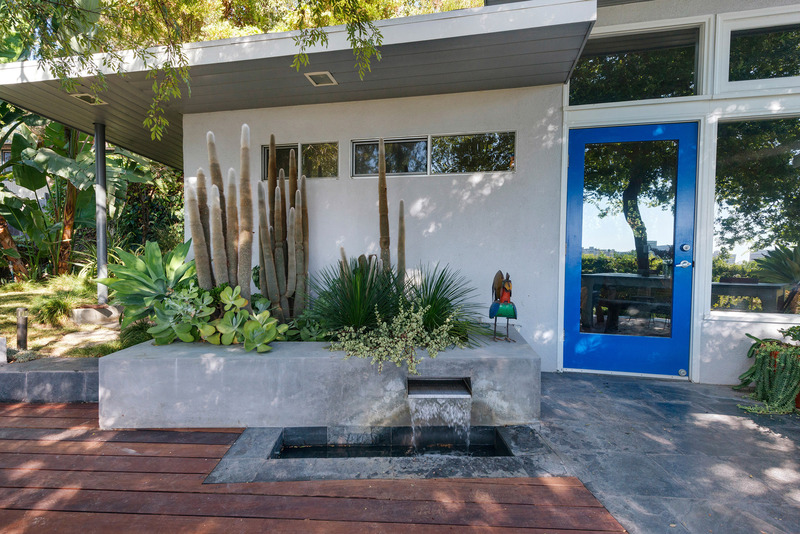 Photo credit Michael McNamara, Shooting LA.